Home › Posts Tagged "London Mob Series"
It’s hard to believe I’ve been publishing Indie for six months. It doesn’t seem like that long ago when everything was so new and scary. I had no idea how FB ads worked or how to format my own books, pricing strategy was a mystery, and it seemed like I would never have more than a book or two in my catalog. Fast forward six months and I have a solid grasp on what works and what doesn’t when it comes to ads. I format all my own books. I’ve recently made Ruthless permafree after running a BookBub ad that sent sales of the next two books into the stratosphere. I’ve self-published seven books. 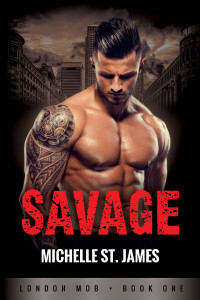 Savage, the most recent, was released last week and begins a whole new series. But one thing remains the same; there is always plenty to learn. This will be a year of continued learning for me on the Indie side, and also a year of reaching out and getting to know other Indie authors. My Indie releases are now spread out two months apart instead of one with the goal of more time to work on non-Indie projects in between. In general, everything is smoothing out. I’m more financially secure than I’ve been in a long, long time, and I feel like I have a handle on how to keep all this going. I’m learning to plot more thoroughly on the front end so I can draft faster. Most importantly, I feel FREE. I’m writing what I want, whenever I want. I can put out one book a year or twelve. I’m no longer worried about whether my books will be appealing to bookstores or editors — only whether they will be appealing to readers. Liberated. That’s my word for 2016. To be honest, I’m so ridiculously happy with how my Indie career is shaping up that I only have one regret; I wish I’d done it sooner. Preferable three years ago when I first started thinking about it. In the end, I only have myself to blame for waiting so long. Having said that, there were (and still are) some blanket statements that serve to discourage people from going Indie. And hey! Maybe it’s not for you. But if it’s not, I want you to be able to make that decision based on fact, not speculation or fear. With that in mind, I’ve compiled a list of Indie Facts and Myths from some of the best Indie authors in the romance genre. MYTH: You won’t make enough money to pay your bills. 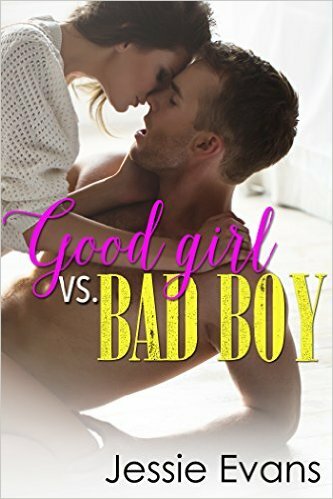 FACT: “I was making enough to pay my mortgage by my second month in indie publishing (Oct 13) and that has remained true every month since.” – Jessie Evans, author of Good Girl VS. Bad Boy and formerly traditionally published under another pen name. Of course, there are never any guarantees. But this was an oft-repeated phrase similar to the ones I heard when I was trying to get traditionally published. You now the ones I’m talking about. Things like, “Only 15% of manuscripts will find an agent,” and “The average first time advance is $10,000 so why bother?” I never let those statements stop me on the trad pub side, and I went on to work with one of the best YA agents in the business, and to sell my first series in the very high six figures. But for some reason, I let these kinds of comments discourage me on the Indie side. It seems a little crazy now, but it almost felt SAFER to keep doing what I was doing — writing books, hoping they would sell to trad pub, hoping I would get an advance that would make it possible for me to keep my family going for another year. The thing that made the difference for me was reading the personal accounts of authors who were doing it successfully. That disclosure required a lot of bravery on their part. I don’t know if I would have had the courage to take the leap without their inspiring stories. I remain grateful for their candor, and it’s part of the reason why I was so transparent in the early days when I had no idea if this would be a successful or failed experiment. So yes, not everyone will make a ton of money publishing Indie. But if you can check off a few key things — great writing, compelling and professional cover, a willingness to market, and the ability to release content fairly quickly in the beginning — it’s more than possible to make a living on the Indie side. MYTH: You’re going to spend a lot more time marketing Indie than with traditional publishing. If you are one of the lucky few in traditional publishing whose deal came complete with a giant marketing budget, you might spend more time marketing on the Indie side. If you’re among the other 99.9% of writers who have published traditionally, you’re not going to spend any more time, and you might actually spend less. I did it despite the large marketing budget because I never wanted to look back and wonder if I didn’t do enough. Whatever happened, I wanted to know I did my best, and I repeated the actions, give or take a few, with every book I sold thereafter until fairly recently when I began to suspect it wasn’t moving the needle. Did it make a difference? I don’t know. If it did, it probably wasn’t enough of a difference to mean success or failure. But I can definitely look back and say I did everything in my power to make those books a success, from writing my very best to marketing my heart out. The truth is, I do much LESS marketing now. Or more accurately, more of my marketing is automated on the Indie side. I run Facebook ads constantly, but once I hit on an ad that performs well, I don’t really have to do anything with it. This is in large part thanks to AuthorBuzz, who handles the day to day minutiae of monitoring the ad results, making changes to the audience, etc. It’s also a product of the kind of marketing that works best on the Indie side. It’s no surprise that readers of ebooks are found online. They like to talk about the books they’re reading, get and give author recommendations, and generally commiserate with other readers on the internet. All of which means reaching them there is pretty easy. Other than that, I don’t do much but keep in touch with my readers on my Facebook author page, which I enjoy. I’ll be attending RT in Vegas this year, and hopefully a couple more conferences, but that’s strictly for fun and to connect with other authors. The truth is, I have a lot more time for writing now than I did when I was publishing exclusively traditional. MYTH: Indie publishing is a last-ditch option for those who couldn’t get a traditional deal. FACT: “Authors who write for a living, like all business professionals, have choices about how to conduct our business and with whom we’d like to partner. Indie publishing is a choice, just like the choice to seek out a traditional deal. There are pros and cons to both options, but many authors — including those of us who have successfully published traditionally in the past — are choosing to go indie for all or some of our projects. 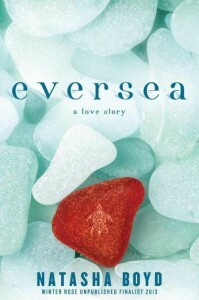 It’s not a choice made out of desperation, but one made from a place of empowerment, good business sense, and the excitement that comes from having the freedom and flexibility to try something new.” – Sylvia Pierce, author of the Bad Boys on Holiday series and an Indie romance author who also publishes traditionally under another pen name. An extraordinary number of Indie authors actually published traditionally FIRST. Many of us started out the old fashioned way — querying agents (sometimes via mail before email was accepted everywhere), waiting for a response (sometimes for months), going through rounds of edits with our eventual agent that sometimes lasted close to a year, waiting while our books were “subbed” to editors, and if we were lucky, waiting a year or two to see our book on shelves after it was acquired. Some of us had successful careers in trad pub only to be winnowed out as the marketing emphasis became more focused on a few big blockbusters a year. There was a time when it was expected that most authors would take time to build their audience. Publishers invested in them long term, even if their books weren’t big out of the gate. Those days are mostly gone as publishers invest the vast majority of their marketing budgets into a handful of high profile titles that all but guarantee the slow death of even mid-list authors. Some trad authors write in a less high profile genre. Or maybe their work crosses genres and that make it difficult for a publisher to know how to market it. There are lots of reasons for going Indie. However, I know surprisingly few Indie authors who have done it because they tried and failed to get a trad pub deal, and I know quite a few who were offered trad pub deals but chose to go Indie instead. MYTH: If you have a traditional publishing career, your agent/editors won’t let you self publish other titles. 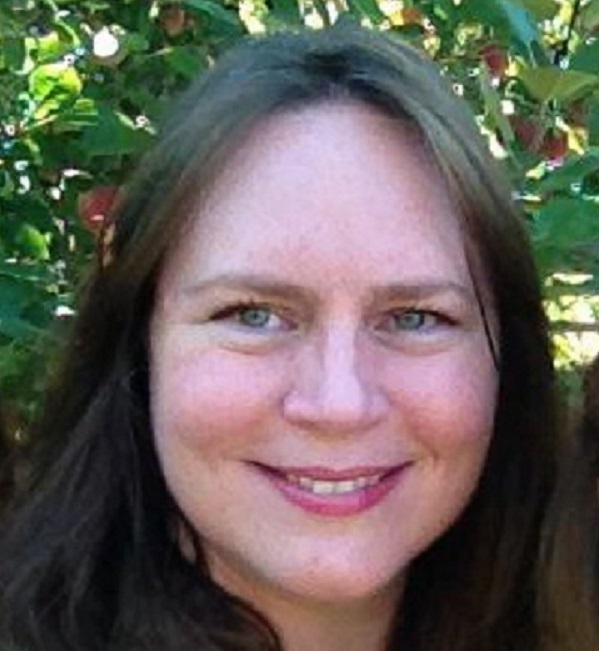 FACT: “My agent has been nothing but supportive of my diving into self publishing while continuing to pitch other books to traditional publishers, and none of those publishers have raised any concerns either.” -Eva Chase, author of Caught in the Glow, and an indie pen name for a traditionally published author. My agent always erred on the side of caution when I was thinking about trying my hand at publishing Indie. He wanted to be sure I knew that it wasn’t necessarily easy, and that there were no guarantees. But he never threatened to stop representing me if I did it, and we work together to this day on my traditional stuff. I was SO nervous to mention that I was considering writing Indie under a pen name to my editor. I thought maybe she would look down on it — or me. But now I feel foolish, because she was wonderful about it. She understood my financial concerns, and she encouraged me to do whatever I needed to ensure my family was okay. Her support was a very big deal to me, because I love working with her. If she had discouraged me, I might have thought twice. Thankfully, she didn’t, and I have high hopes that I’ll get to work with her again on future projects. MYTH: You need a traditional print deal to sell globally. FACT: Selling globally is as easy as clicking a button on your computer. Uploading a book to an online store is like getting a glimpse of the entire reading world. Making your English language book available to virtually any country is as easy as checking a box on the Rights page, and if you’d like to take it one step further, you can even find translators that will translate your book into any number of languages for sale to native speakers in any country. In fact, many Indie authors are finding whole new audiences by investing in translations for Germany, Spain, and many other countries. A large number of my readers are from the UK and Australia, and those territories have become key in terms of ongoing royalties. Plus, it’s so fun to connect with readers all over the world, and to know that your work is inspiring people in far away places. MYTH: The Indie market is saturated now. It’s too late to take advantage of it. Make no mistake about it; there are A LOT of Indie books out there. Like, a lot, a lot. But the truth is, no one knows where the bottom of this market is. I’ve been hearing the “Indie books are on their way out” refrain since 2011, but I’m doing more than fine in this market. There are two things I know for sure, though. Indie books – and the online reading platform – are here to stay. There is evidence that print books are experiencing a rebound, but this in no way means ebooks are out. Millions and millions of ebooks are sold every year, and many of those ebooks are also represented by print version in bookstores. The digital platform is now a way of life for many readers, so while I do believe readers are becoming more selective, I don’t see a time when we will ever go back to strictly paper content. You’ll never know unless you try. See, this is kind of like the trad pub thing. We can sit around and try to predict what’s going to happen. You can spend a lot of time talking about it and guessing at your odds of success. But you just won’t know unless you take the plunge, and all that talking and guessing takes away from time you could spend researching and writing and learning. I’m glad I did it when I did, but if it hadn’t worked out, at least I would be able to say it didn’t work firsthand. None of this is meant to sway you either way. These are personal decisions, weighted with things like family and money and time and career and other commitments. But I’m by nature a positive, action-oriented person, and I know how demoralizing it can be to feel like nothing is changing. Like no matter how hard you write and how hard you try and how much you learn, you just can’t get to a place of even relative comfort and security. I know what it means to feel powerless even in the face of the knowledge that your art belongs to you. YOUR ART BELONGS TO YOU. These are the things I know. I can’t control whether traditional publishing buys any more of my books. I can’t control whether readers will like my books. But I’m a writer. That’s what I do, and I do it whether I get paid or not, whether anyone else is reading what I write or not. I don’t know who I am without it. As writers, we’re finally we’re at a place where we have some options. And that counts for a lot. 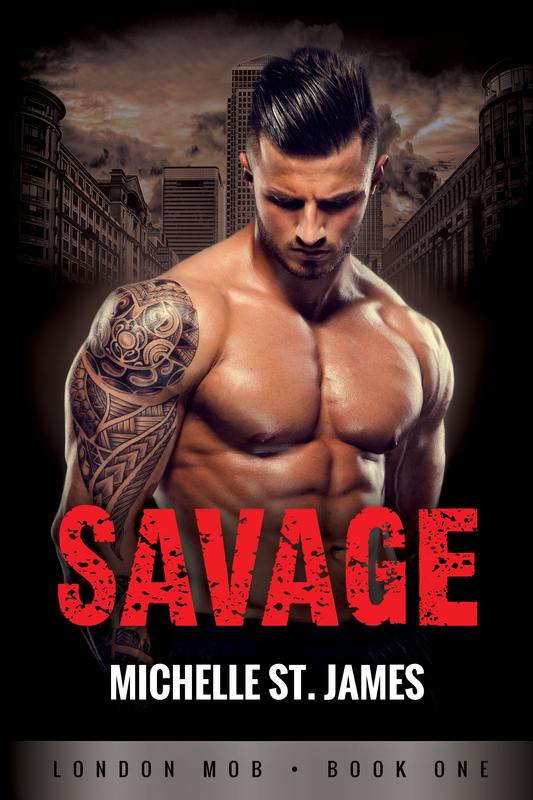 With The Muscle Part Three wrapping up next week, I’m super excited to reveal the cover and blurb for SAVAGE, the first book in the London Mob series featuring Farrell Black and Jenna Carver. 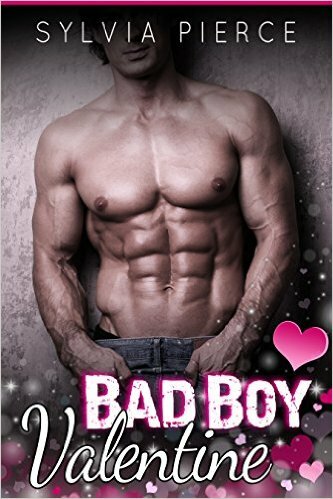 Those of you with eagle eyes and a great memory will be able to place Jenna from the Mob Boss books, and of course, no one can forget Farrell, my biggest, baddest — and dirtiest — main character yet. If I was Superman, Jenna was my Kryptonite. Farrell Black is dirty, dangerous, and holds nothing sacred. Growing up on the mean streets of London, he clawed his way to the top of a criminal empire with nothing but sheer force of will and the determination to need no one. 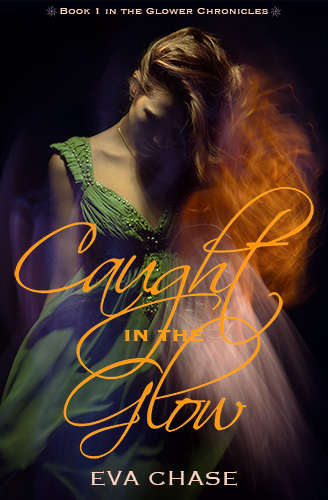 Then he met Jenna Carver, and all bets were off — until the day she walked out of his life without a backward glance. Leaving him was the hardest thing she’d ever done. As a kid, Jenna knew how people looked at her. Like she was stupid. Worthless. Poor. So she spent her life working to become someone else. Then she met Farrell Black, and their all-consuming passion blew a hole in everything she thought she knew about herself. Until she was forced to make a terrible choice. Now Jenna is back in London for her father’s funeral, desperate to avoid the one man who can banish her hard-earned reason in favor of red-hot ecstasy. But when her father’s death is tied to an abuse of power at the highest levels, she has no choice but to ask Farrell for help. As they work together to find answers to a puzzle that could have dangerous implications, desire threatens to undo them both — and forces Jenna to choose between keeping the secret of a lifetime and possessing the only man who has ever commanded her heart and soul.